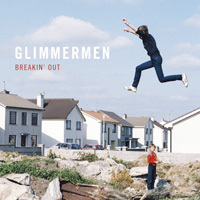 Glimmermen 'Breakin' Out' featured on Dan Hegarty's Albums of the Week. Glimmermen are delighted to feature on Dan Hegarty's 2FM/2XM's ' Albums of the Week'. We're in very fine company, also listed are Garbage 'Strange Little Birds' & Mutual Benefit 'Skip a Sinking Stone'.